Camping conjures up images of campfires, tents, sleeping bags and generally roughing it. However, now there are so many pieces of furniture available for use in camping, you can deck out your campsite to look almost as good as your home. There are lounge chairs available, ottomans, tables and lamps to recreate a living area around a campfire. Portable kitchen areas will provide preparation areas and grills for a versatile dining experience. Your tent no longer has to consist of a sleeping bag on the hard ground but can include beds, tables and lamps. Keep in mind that larger pieces of furniture are difficult to transport and may be heavy or bulky so these items are best used in stationary camp sites. If you will be wandering off to camp at a site where you will have to carry your equipment long distances, these items may not be ideal. However, if you have a campsite area that also accommodates your vehicle and you plan to return to the campsite each day, they are perfect for creating a comfortable and relaxing environment. Make sure you have enough room however you are traveling to transport items. 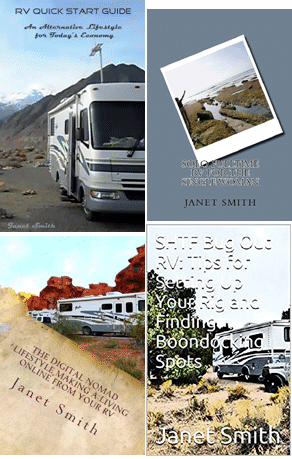 If you have a recreational vehicle, truck or SUV, they provide ample area to store foldable or collapsible furniture along with your equipment and supplies. If you only have a small car, however, you may not be able to pack all the furniture items and still have room for necessary equipment and yourselves. 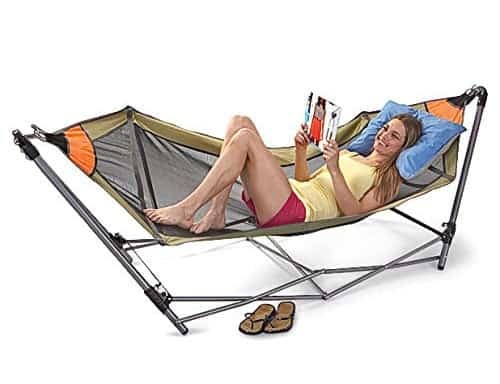 Cots, hammocks, inflatable beds and sleeping mats are great pieces of furniture for use in a tent. They provide maximum comfort while raising you from the hard ground. This can help in keeping you dry in rainy climates and warm if it is colder. Adding a small, collapsible table will allow you to set a lamp for reading and keeping water or other supplies. Lamps can be battery or gas powered and they are usually small and easily portable. There are many varieties of chairs and lounges available. These pieces of furniture are either collapsible or inflatable for easy, compact storage. You can get these pieces in oversized models for maximum comfort and kick your feet up on an ottoman or attached foot rest. Cooking and dining is no longer an issue with the use of folding kitchenettes. These are great ways to provide food preparation areas. They can attach to a grill or heating element to prepare your day’s catch of fish or prepare your favorite camping recipes. Tables and chairs are available and there are even portable picnic tables. You can easily gather the family around for a good meal. With all the available camping furniture available, you can now camp in luxury. Look for camping furniture online or at local sporting goods stores. Make sure you have enough space to transport all these items. They usually come in collapsible models for convenient and compact storage but they will still take up a bit of room. Have fun on your next camping adventure by staying in style and comfort.